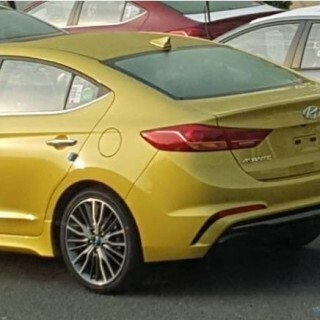 We have known for a while that the Hyundai Elantra Sport was coming soon, but were are now delighted to report that some spy shots have been taken of the new model. 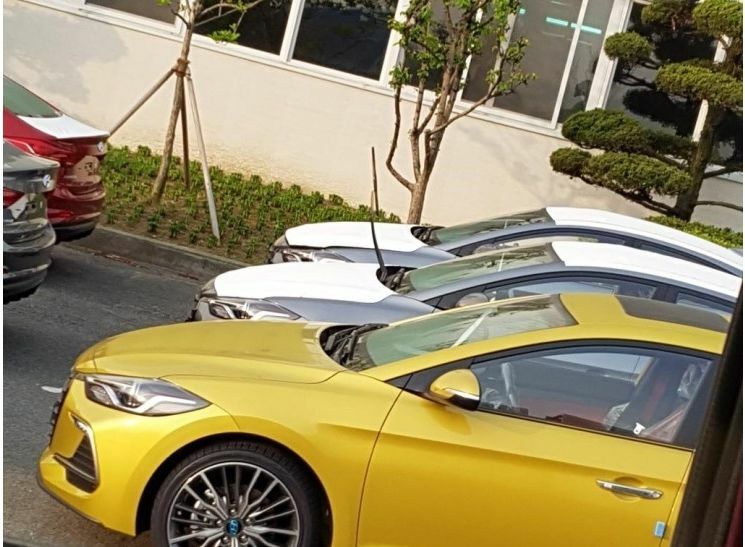 The spy pictures were snapped at a dealership in South Korea, and they give us an unobstructed view of the sleek exterior design of the upcoming 2017 Elantra Sport. The first things that pops out is the stunning exterior colors. There are two vehicles in the shot, one of which is silver, while the other is a beautiful looking bright yellow color. You will also notice some changes to the air vents and the headlight clusters up front, while the rear shows off an updated bumper and twin exhaust pipes. The overall design of the exterior is one that we believe full encapsulated the Sport name, as this looks like a vehicle ready to be let loose on the highway. The Hyundai Elantra Sport is not scheduled to be unveiled in the US until the SEMA show in October, which makes this reveal all the more exciting. While we now know more about the exterior of the vehicle, including the updated wheels and tires, we are still left to speculate a little about what will power this beauty. Our best guess is that the upcoming 2017 Elantra Sport will come equipped with a 200 horsepower 1.6L turbo engine mated to the new 7-speed DCT. This has yet to be confirmed by Hyundai, but it seems like the perfect engine choice for a vehicle that wants to challenge the likes of the Ford Focus ST and the Honda Civic SI. Stay tuned for more Elantra news and details!